One of Ireland’s most recognisable retail brands are currently seeking a Head of Food in charge of New Product Development to grow their customer offering and lead their large, successful team of product developers. Leading a large team of product developers, quality assessors and nutrition technologists, you will be responsible for managing the development and introduction of a diverse product area that enhances and elevates the brand’s customer offering. You will lead the companies’ direction in terms of new product development, devising the brand strategy and engaging with the consumer to develop a commercially successful range. Your main focus at all times will be on supplying competitive, high quality, value for money consumer offers. Managing a large team of product developers, Quality assessors and nutrition technologists, you will be responsible for managing the development and introduction of own brand products that enhance the company’s ability to supply competitive, high quality, value for money consumer offers. You will be responsible for devising the own brand strategy and engaging with the consumer to do this. 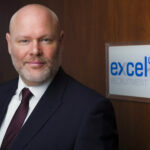 If you have the necessary skills and experience and are interested in this Head of Food New Product Development, please attach a CV below for the attention of Barry Whelan, CEO of Excel Recruitment.com. Alternatively, call 01-8148747 to discuss the job in complete confidence.